*Upon verifying your email and completing the first purchase of 10 credits or more, you’ll receive a voucher for 5 free credits which can be used to play in any 5 credit or lower tournament. This voucher offer must be used within one year of depositing. Play head-to-head on your favorite games and earn real money with each victory. Take on multiple opponents in a round-by-round competitions with cash prizes on the line. Gain experience in competitive games for FREE with thousands of dollars in end-of-season playoffs prizing up for grabs. 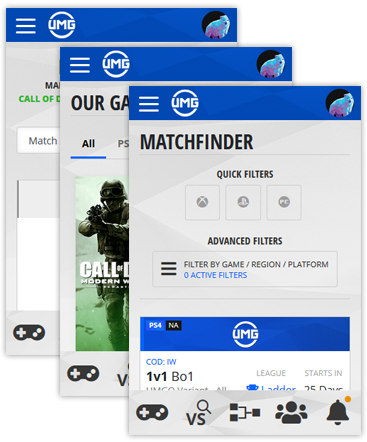 Create your UMG account and get started competing within minutes. Invite your friends to your team or play alone on UMG. Select between cash matches, tournaments or ladders and get started playing. 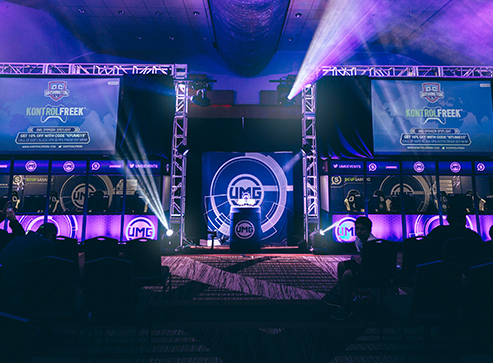 Achieve your dream of winning money playing video games today with UMG. We offer the best support for our users compared to our competitors. We Monitor Activity and Remove Cheaters.